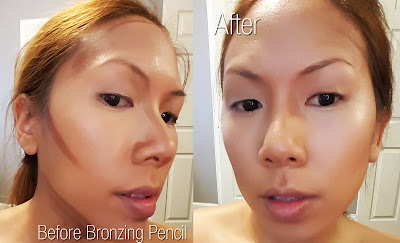 I am a sucker for bronzing and contouring, especially when I find a product that makes it quick and easy to get out the door with a sculpted and glowy face. One of my favorite brands Nudestix just came out with some great bronzing pencils in matte and shimmer shades. Check it out! 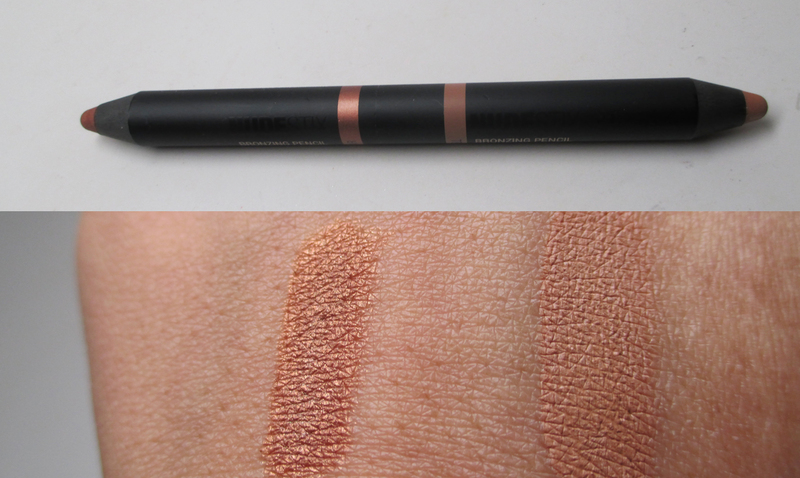 An easy-to-use, dual-ended bronzing pencil for sunkissed summer skin. These lightweight, waterproof, and long-wearing pencils offer both matte and luminous neutral shades for the everyday bronzed look. The all-in-one duo delivers an effortless beachy glow to your finest features for a sculpted look. To get you festival-ready no matter the season, simply apply smoothly to the skin and let it dry to a silky powder finish. This product is cruelty-free, formulated without preservatives, and dermatologically tested for sensitive skin. I love the large jumbo stick with two ends. This is definitely a space saver and very convenient for travel. I got the pencil in the shades Terra/Brown Sugar. I love that they ofer one matte and one shimmer side. Sometimes you want a matte contour and other times you want that beachy glow. I actually found that the contour side was just a smidge darker than my skin tone so I use it for subtle contouring such as around my nose area. The shimmer side is deeper and I actually an able to mix both shades to get a great facial contour. Surprisingly it blends out to give a luminous finish, it's not overly sparkly which makes it a nice contour tool. Here I am using the Bronzing Pencil. As you can see the pencil is definitely deep enough to contour on my tan skin tone. When I blend it out with either a beauty blender or synthetic bronzer brush my skin is left with a luminous bronze contour. Happy bronzing! You can find this product at www.nudestix.com They also retail on Beautylish and Sephora.